Welcome to 2065 Desert Palms Drive! 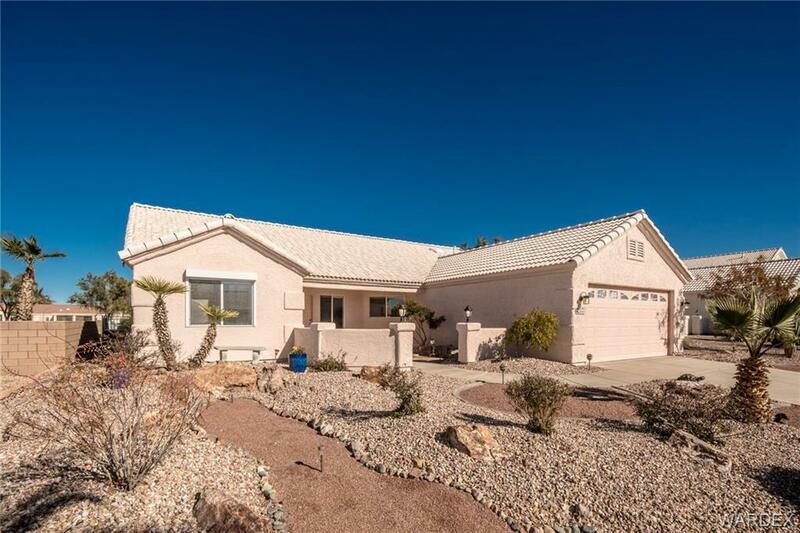 Beautiful golf course living in the coveted Desert Lakes Estates. This impeccably maintained home will not disappoint. From the gorgeous front landscape, to the gleaming wood floors to the outdoor living on the golf course, there is so much to appreciate. Enjoy Panoramic Views of the mountains and gorgeous, green course. This home has a wide open great room concept. Split floor plan for plenty of privacy. The kitchen has brand new Corian counters and stainless steel appliances. Master bedroom features dual vanities and a recently updated tub/shower combo. Generous sized guest rooms round out the perfect floor plan. Call for your private showing today!